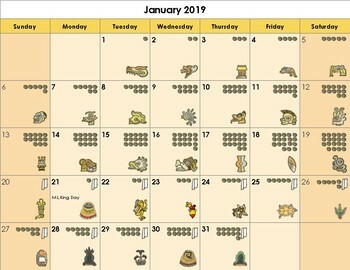 This is a 2019 Aztec-themed calendar. 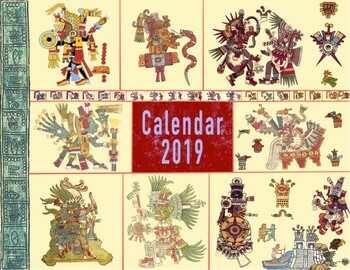 Every month comes with a colorful Aztec codex. 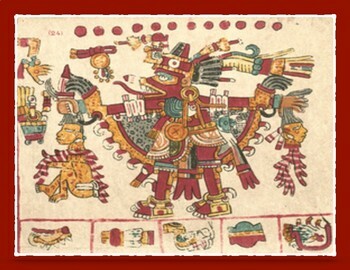 The days are in both Arabic numerals and Aztec number symbols. It's a great way to spice up your history classroom, teacher's lounge, home or office. 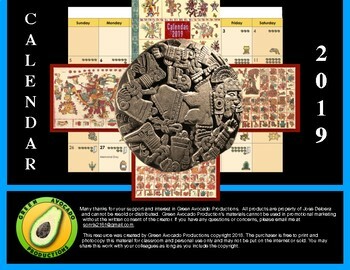 Take a look at our other products from Green Avocado Productions. Don't forget to leave a comment.